I am making a model of Fort George. Unfortunately the shader is fighting with it. Is there a way to stop that except putting a big shape below the model? Disable the shader in yor rendering settings? That is only for me. I was looking for a more general fix. If the shader is geared to land-class, maybe you could change the land-class for that area? If you have a model, you usually give it a base and don't rely on the underlying terrain to magically come out right, because it almost never will. So what exactly is the problem with that? I'm assuming this is the Fort? 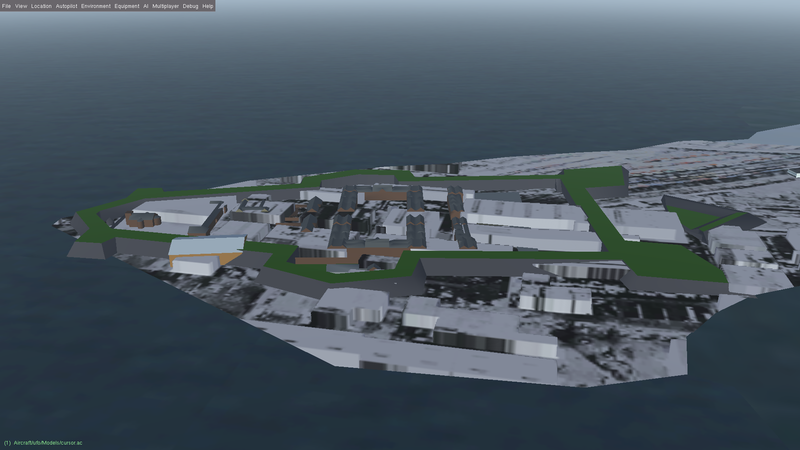 Disable the shader, place the fort at its correct real-world location, and submit it. The proper thing to do is set the land cover to grasscover for the next world build. There's currently no process for this, though. But please submit the model anyways.